I am delighted to read and review another charming book in the nuggies book series. Chomper is an adorable pup, who has a penchant for getting dirty just like his young readers. After all when you spend your days playing in garbage cans, rolling in the mud, and chasing skunks, a price will have to be paid. That price is being a candidate for a good scrubbing in the bathtub. Chomper does all he can to resist his fate, but his owner tracks him down. Once in the tub, Chomper discovers a world of imagination. He can imagine adventures like swimming with the fishes, surfing, and sailing across the seas in a pirate ship. Chomper discovers feeling fresh as a daisy after a bath might not be so bad after all. I received an advance review copy from the publisher and decided to voluntarily read and read with my honest opinions for no compensation. 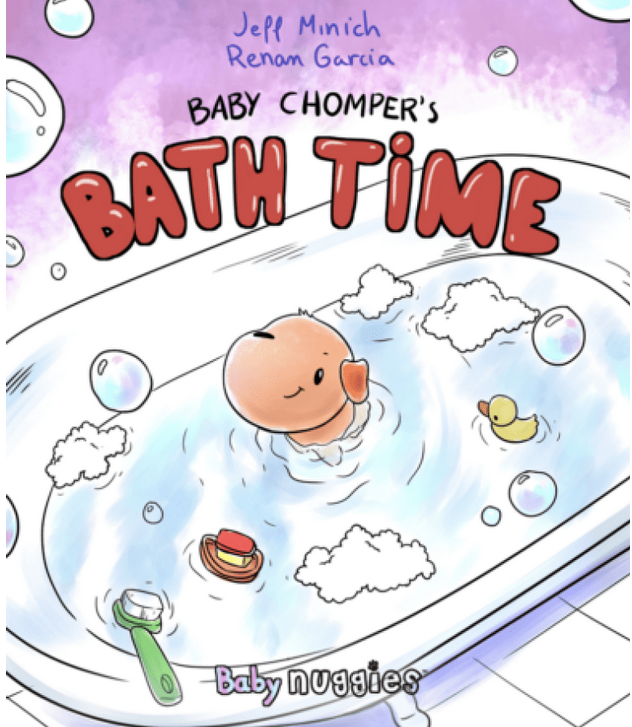 Publisher’s Synopsis: Baby Chomper’s Bath Time is a lovable tale about a little puppy who learns to have fun doing his least favorite thing— taking a bath! One day, baby Chomper escapes from home and gets muddy and stinky beyond belief. He rolls in the mud, takes a dive in the trash, and even gets sprayed by a very stinky skunk. After returning home, he finds that it’s his least favorite time of all: BATH TIME! With nowhere else to go, Chomper realizes that bath time can be one of the most fun times of all! He imagines himself diving into the deep blue sea, being the captain of his own ship, and surfing to a faraway shore. 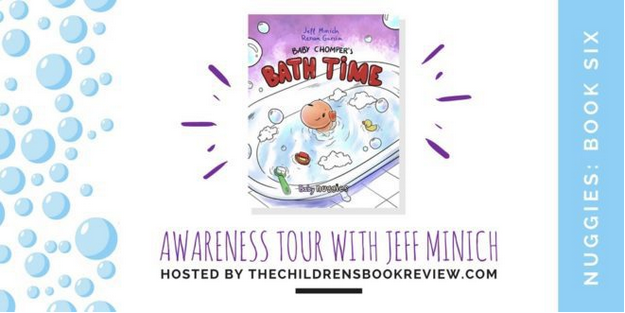 Baby Chomper’s Bath Time is a playful story that encourages children to see the bright side of every situation. 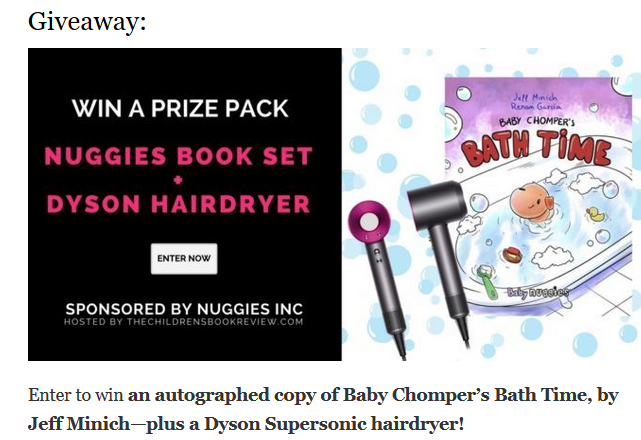 Enter to win an autographed copy of Baby Chomper’s Bath Time, by Jeff Minich—plus a Dyson Supersonic hairdryer! Giveaway begins September 26, 2017, at 12:01 A.M. MT and ends October 26, 2017, at 11:59 P.M. MT. Thanks for the post . My grandson would love this as he also fights bath time. With be checking out the other books as well. Thanks for reading. I hope that your grandson will enjoy the message of the book. This looks like a cute one! Thank you for sharing this at Booknificent Thursday on Mommynificent.com! I appreciate it! You’re welcome. I hope that you win! Perfect message for those toddlers who are reluctant at bathtime.